Did someone meet with you outside their work schedule to give you career advice? Write you a letter of recommendation or was a reference for you for a job? Recommend you for a promotion? Give a presentation to your student group? If someone has taken the time to do something for you regarding your professional career and aspirations, a handwritten thank you note will go a long way in letting this person know you appreciate the time and effort they put in to whatever you asked them to do. Don’t make the mistake of unintentionally burning a bridge. It will definitely be a big turn-off if you ask someone to write you a letter of recommendation or provide a reference for a job opportunity and you never follow-up with them to let them know you appreciate their time and kind words…even if you didn’t get the job! Don’t just save your handwritten notes for after job interviews. Use them in all aspects of your professional network. I guarantee, the person will remember you, your professional courtesy and will most likely remember you for future opportunities. 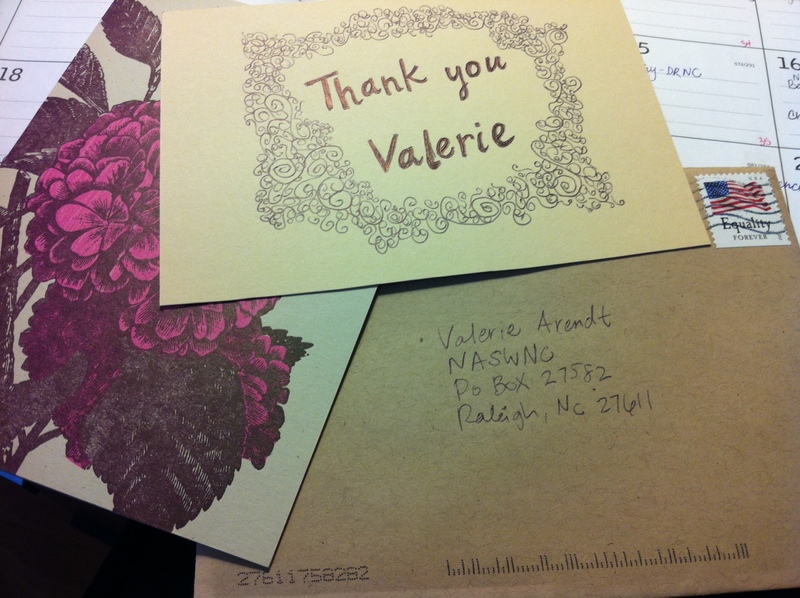 Is the Handwritten Thank-You Note Dead? This entry was posted on May 13, 2014 by naswnc in Blog Posts by Topic, Membership and tagged BSW, career, career advice, handwritten notes, leadership, letter of recommendation, MSW, networking, nonprofit, professional career, professionalism, social work.